This is my favourite weekend breakfast. 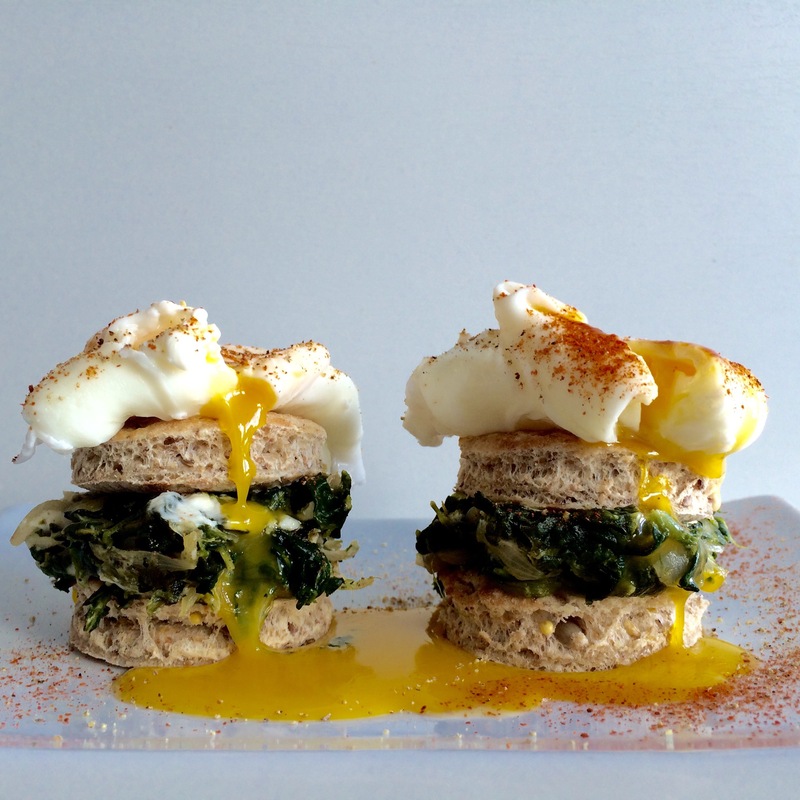 Two soft poached eggs nestled on top of a spinach feta sandwich. In a frying pan on medium heat, add a little olive oil. Add spinach, and shallots – finely chopped. Sauté until spinach is cooked and shallots softened, add salt and pepper. Cut feta into cubes and add to spinach. Turn off heat and mix together letting the feta melt slightly. In a pot of boiling water, add the apple cider vinegar. The vinegar stops the egg from breaking up. Add egg to the water. Let poach for 3 minutes. Take out of water and let drain on paper towel. Toast mini pitas. Make 2 sandwiches with the pitas and spinach mixture. Top with poached eggs. Finish with a sprinkle of pepper and paprika. I love the multi grain pitas from pita break. If you can’t find mini pitas, cut a large one into 4 pieces. I always have frozen spinach in my freezer. The nuggets are the perfect portion and great for cooking with.